David Catlin Consulting – Your Nature Center’s Visitors May Not Be Who You Think They Are! 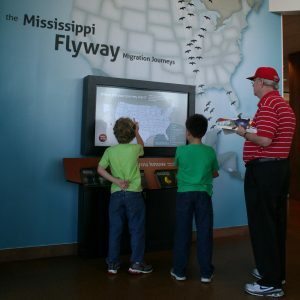 Thinking about your most recent visit to [insert name of nature center here], which ONE statement BEST describes your main reason for visiting? I wanted to explore and learn new things about nature, history, and similar topics. I was with someone else (children, grandchildren, students, out-of-town visitors, etc.) and wanted them to have a good experience. I heard that the nature center is an important place to see in the greater [name of the nature center’s home town] area. I was pursuing a professional interest or personal hobby (birdwatching, wildlife photography, research, geocaching, etc.). I went because the nature center is a good place to reflect, recharge, and just get away from day-to-day life for a while. I went mostly to get some exercise. If you’ve read the last two entries to this blog, you may recognize the influence of Dr. John Falk’s research on this question. (If you haven’t, you might want to do so now. . . .) I’ve been trying to determine why it is that people visit nature centers. Now, go back to the question above. Think about the nature center that you know best. Estimate the percentage of visitors to that center that would select each answer. Are most of them “Explorers?” How many are “Professional/Hobbyists?” Do any of them just visit because they’re training for competitive trail runs? “Facilitator” is the most common user type. Typically, 30% or more respondents say they visited with someone else they wanted to have a good experience. “Recharger” usually places second—and at two nature centers, actually represented the most frequent response. Overall, this answer has been selected almost 27% of the time. “Professional/Hobbyist” comes in third so far, chosen a little over 15% of the time. “Explorers”—who are typically the target of most of our exhibit dollars—have made up only 12% of respondents. So—what do you think? Are there any surprises here? Or are these results about what you would have expected? Talk among yourselves. . . .